Circle of Friends, Six Degrees of Separation, It’s a small world? These phrases come around time and time again and whether it’s fate, destiny, or some other power, there is something in it I think. 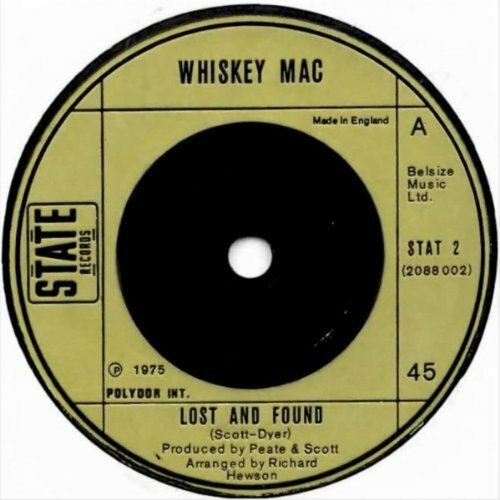 My involvement with what became Whiskey Mac was initiated when one morning in early 1972 I bumped into Stuart Reynolds as I was going into Whiteley’s Corner newsagent in Brighouse, and he was coming out. I had played with Stuart along with Kenny Rooke and Pete Sewell in a band called Storybook, Andrea Hanson was going to front the band, this was the band Pete Sewell tried to put together when the Zany Woodruff Operation folded, but it never got off the ground, i also played with Stuart in a earlier incantation of Skin Deep. Stuart also played with Graham Lockwood and Paul Thompson in a jazz trio / quartet. Anyway, he told me about an advert he had seen for an organist at the Cats Whiskers Mecca Nightclub in Meanwood. At the first meeting I discovered they needed a drummer, so I called Ian Fearnsides who had played drums in Ian J Bell and The Eden Roc with myself, Pete Sewell, and Kenny Rooke. A few days later we did the audition at the Royal Hotel in Cleckheaton on a Wednesday afternoon, I remember Terry the bass player saying “OK the jobs yours be at Liverpool Docks on Friday we’re doing a Summer Season in the Isle of Man”. We played the very first Summer Season in the Marquee Bar at the ill fated Summerland Complex that burned to the ground three years later. Whilst there, Billy decided to leave and go back to Newcastle and we recruited Keith Maxon from another band “Gingerbread” ,who were playing downstairs at the underground Disco. Whiskey Mac were now complete. Next was a residency at the Excel Bowl Middlesbrough where we met Carl Wayne, ex vocalist with the Move. He liked us and tried to get us a deal with Decca producing our first recordings. Despite his best efforts they didn’t like us and we had to wait for a band called Jigsaw , Clive Scott and Des Dyer of Jigsaw liked us and got us signed to their publisher Belsize Music and they and Chas. Peate, owner of Belsize also tried to help us. They got us signed to Polydor and we were the second release on the newly formed State label. The record didn’t sell and the next one on Chas. 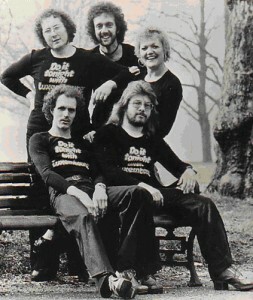 Splash label came after Whiskey Mac had won New Faces in 1976. That too was destined for the nether regions. In between, a succession of Mecca Nightclubs in Basildon, Southend and the occasional foray to Tiffany’s Piccadilly Circus, provided us with money to live while we waited for the big break that never came. I left in 1976 and they continued for a few years after. Great band, great friends, and an enjoyable, but profitless experience.